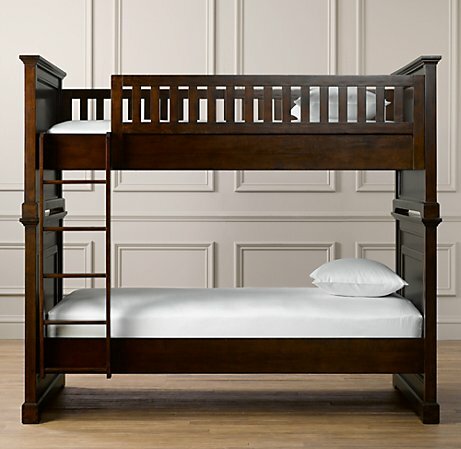 We finally found a bunk bed for the boys. And we got it for a steal!! The trick is finding a wholesale warehouse and then being able to buy the floor model at an additional discount. (Actually it just amounted to some serious good luck.) Oh yeah, baby! 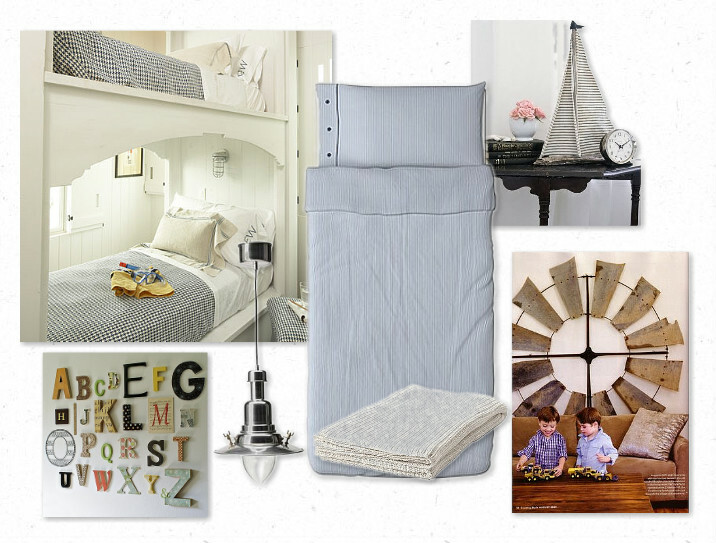 The only problem is that Boy 1 who is 11-years-old was fine with the idea of white bunks when I came up with the inspiration board below. But when he saw them in person, he declared that they were too "girly". Sigh. So it's back to the old drawing board. That's okay, though. That's what design is all about, right? And the good news is that the bed we got looks similar to this Marlowe bunk from Restoration Hardware that I shared with you previously. But for about 1/6 the price. Oh yeah, baby (again)! The bunk should be coming home today...so hopefully I'll have some pics to share soon. And now, the winner of the Stella and Dot giveaway. Congratulations Kendall from Songbirds and Buttons! Drop me an email and we'll get you set up with your gorgeous earrings! Frugal Friday goes live tonight at 8:00 MST as usual. Hope to see you there! I have been informed by the 4 year old man that, "Red is a girl color." Boys! Can you use your same ideas, just with that rich yacht wood look instead? 'Cause I know you have a yacht in Utah that you can use for inspiration! Probably looks like ours in Ft. Worth!